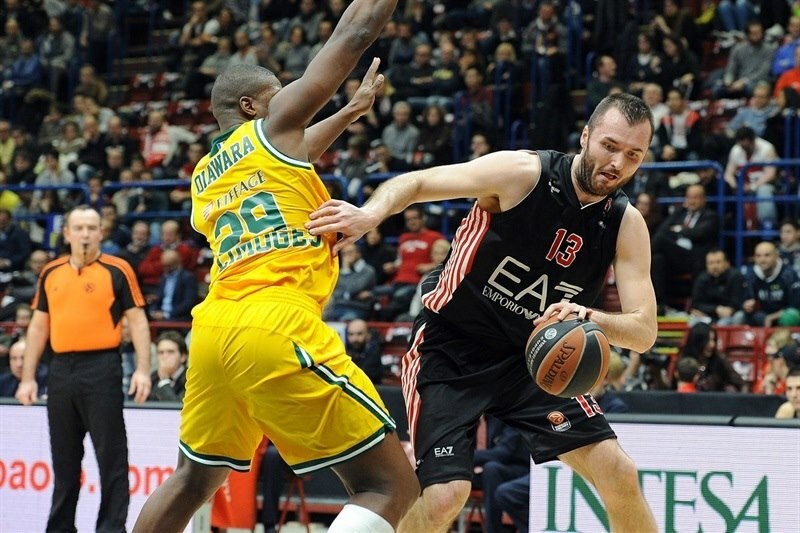 In a clash of two eliminated teams, Limoges CSP held off EA7 Emporio Armani Milan 69-77 on the road on Friday night. Both teams finish Group B with 3-7 record, with Limoges placing fifth due to a sweep of Milan. The visitors took control behind 8 first half triples and held 41-48 at halftime. 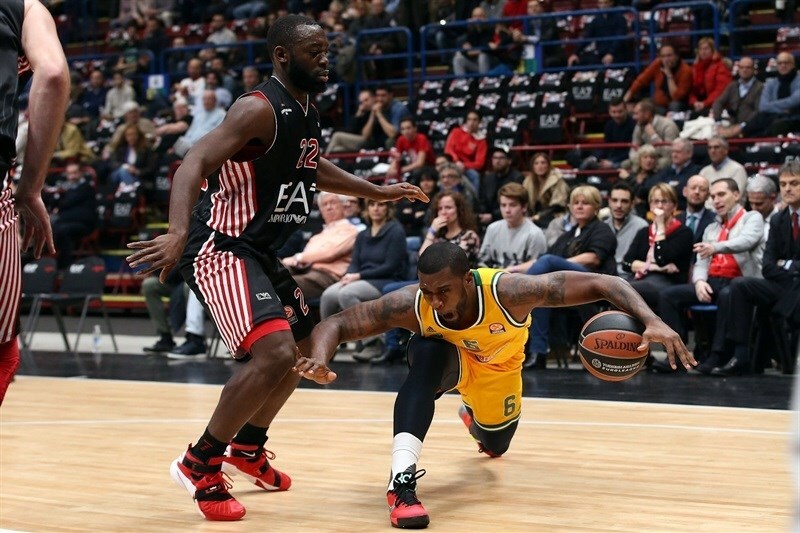 Behind Nobel Boungou-Colo, Limoges opened a 14-point margin late in the third quarter, and the hosts never came closer than 4 points the rest of the way. Boungou-Colo paced the winners with a career-high 21 points, 8 rebounds, 3 assists, 2 steals and 2 blocks. Frejus Zerbo collected 16 points plus 8 rebounds while Heiko Schaffartzik and Leo Westermann each chipped in with 9 in victory. 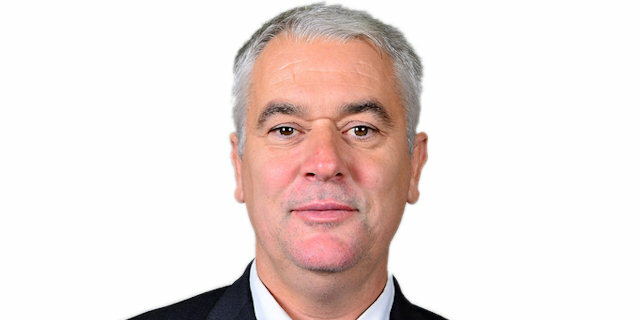 Milan Macvan had 15 points for the hosts. 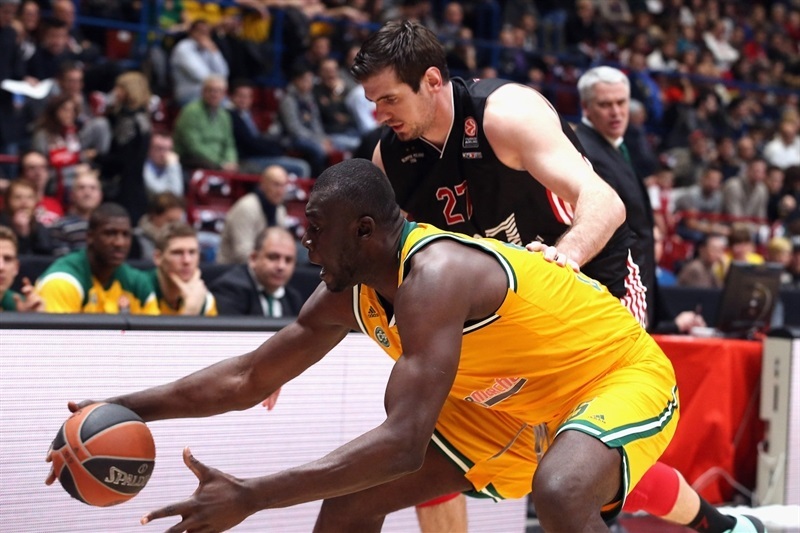 Kruno Simon had 14 and 7 rebounds, while Bruno Cerella added 10 in the losing effort. Charles Jenkins opened the scoring with a long jumper, but Frejus Zerbo opened Limoges account scoring inside. Milan's Stanko Barac hit a jumper, but Will Daniels bettered it with a triple, 4-5. Zerbo added to the tally, scoring on a power drive for layup, and after Milan Macvan scored from close range, Mathieu Wojciechowski blocked Macvan's dunk attempt which led to a fastbreak and a dunk by Daniels, giving the visitors 4:41 8-9. Simon had a put-back for Milan, but after a timeout, four points from Yakhouba Diawara, including a fastbreak basket, gave Limoges 10-15. Macvan had a three-point play and Bruno Cerella scored points on a fast break to tie, but Heiko Schaffartzik fed Ousmane Camara with a no-look pass for a layup and 00:51, 15-17. Jamel McLean hit u jumper for the hosts, but Nobel Boungou-Colo made a tough triple 00:13, and the visitors held 19-20 after 10 minutes. Boungou-Colo hit a triple to open second quarter, and after Cerella scored a fastbreak layup, Schaffartzik's corner triple helped Limoges to 21-29. 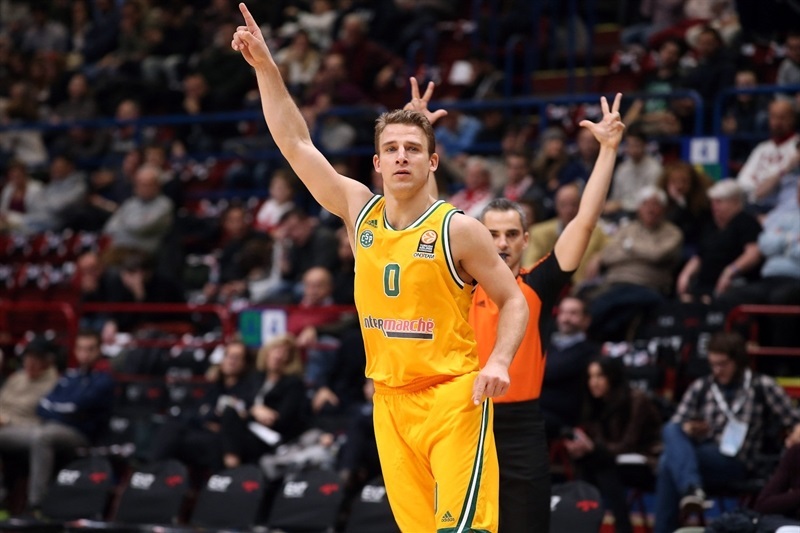 Andrea Cinciarini made a step-back jumper, and Kruno Simon nailed a three-pointer in a 7-0 run. Westermann banked one in from close range, before Schaffartzik and Simon traded triples to make it 34-36. Schaffartzik hit another three from way downtown, and after couple free throws on both ends, Boungou-Colo buried a corner three to make it 37-43 and force a Milan timeout. Zerbo scored inside to extend the margin to 8 points. In the final minute of the first half, Simon had a layup and Macvan a fastbreak dunk, but Westermann knocked down a triple to end the quarter, giving Limoges 41-48 halftime lead. Westerman and McLean each scored from close range, before Mark Payne and Lafayette traded baskets from the long range. 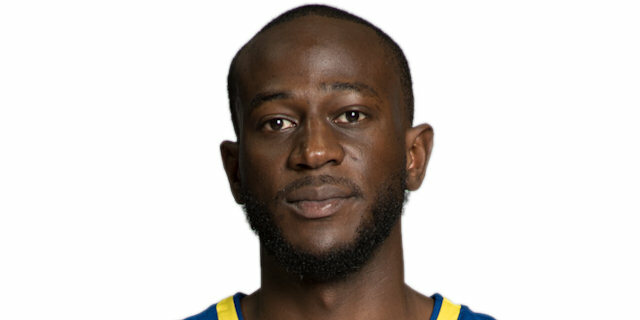 A corner triple from Diawara opened 46-56 margin. 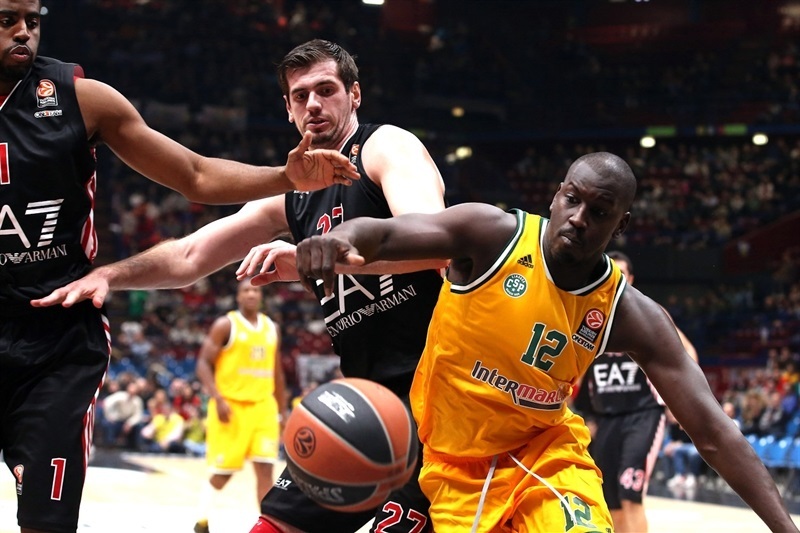 McLean finished a fast break with a layup, but that was the only Milan basket in more than 5 minutes. 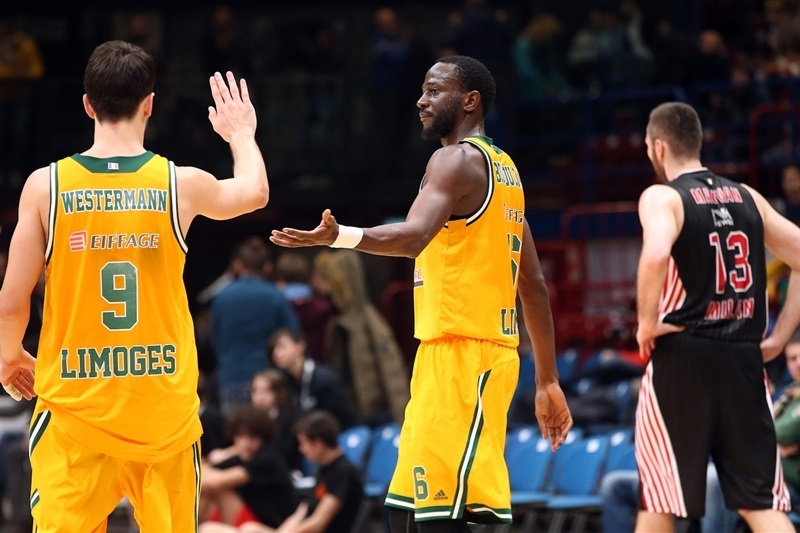 Payne had a put-back to restore a double-digit margin as Limoges outhustled the hosts. Lafayette got a lucky bounce on a corner triple to end Milan's drought, but Boungou-Colo's tip in made it 51-60. Boungou-Colo scored some more, hitting a triple, then following it with a basket-plus-foul to make it 52-66. Cinciarini scored a runner just before the buzzer, making it 54-66 at the end of the third quarter. Macvan had a fastbreak dunk to start the fourth period, but Zerbo nailed a jumper. 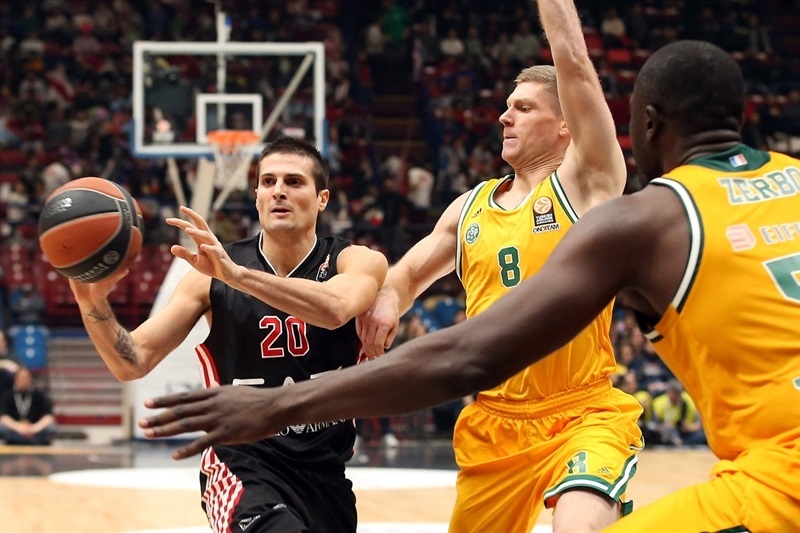 Cerella added a runner to Milan’s tally, but Daniels drove to the hoop to keep the margin in double figures. The hosts finally inched closer when Cerella hit a baseline floater, then McLean and Macvan each made a pair of free throws. 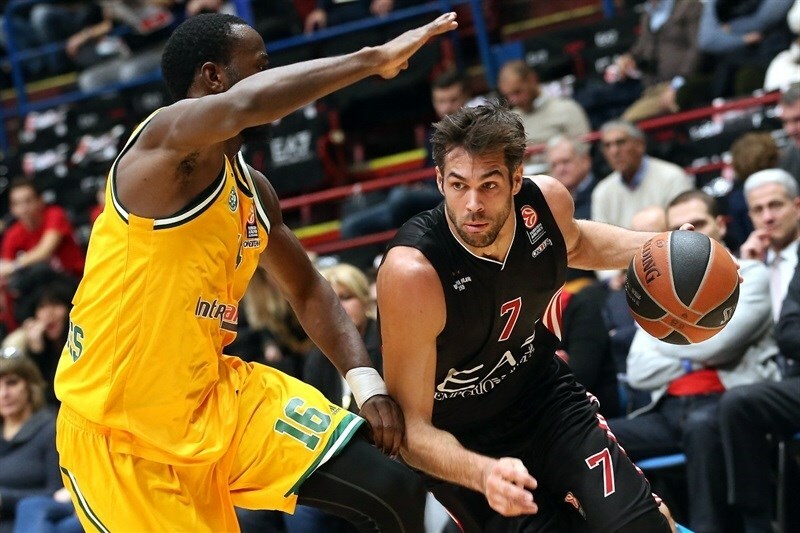 Macvan’s put-back capped an 8-1 run and got Milan within 66-71. Westerman made a pair of foul shots for Limoges, but Simon had a baseline floater and Barac split free throws. 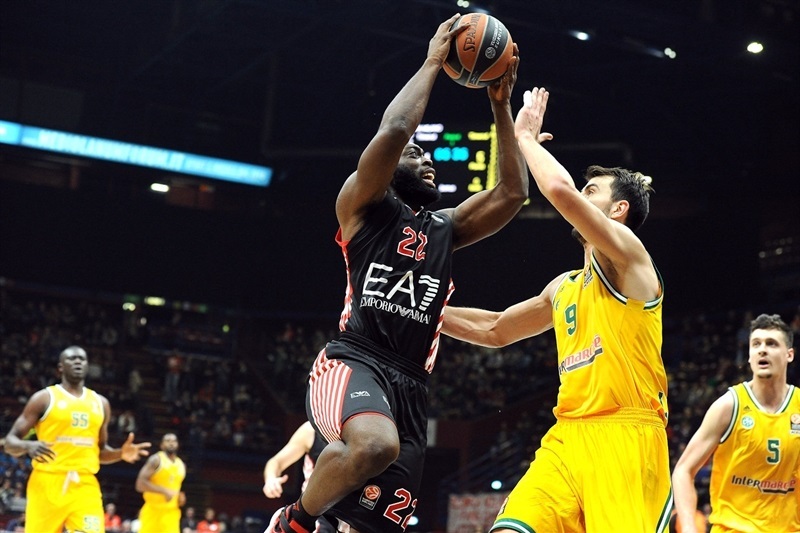 Milan had another possession entering the final minute and down 69-73, but was forced into a shot-clock violation, before Zerbo and Boungou-Colo sealed it from the free throw line. "It is very difficult to say anything intelligent. The result did not matter but we wanted to win to improve our confidence and give a good image, confirm our progress. We had a soft start, very uninspired. I understand that our fans are not satisfied because we did it all wrong. We made a lot of early mistakes, played bad defense on the pick and roll and allowed easy shots. We must have respect for the many fans we had in the stands and who showed their loyalty to our jersey. The Eurocup is a tough competition in which every game counts because if you make mistakes, you do not have time to fix them. We will prepare for each game carefully." "At the end, we are always a little bit scared because we are on the road. It’s never easy. We had a really good efficient get-back in the second half. That was the key for us. I think we did great job defensively on pick and roll so it was not easy for Milan to find easy solution. In half court we knew they could not score too many points. It is one of our best performances in this Euroleague. 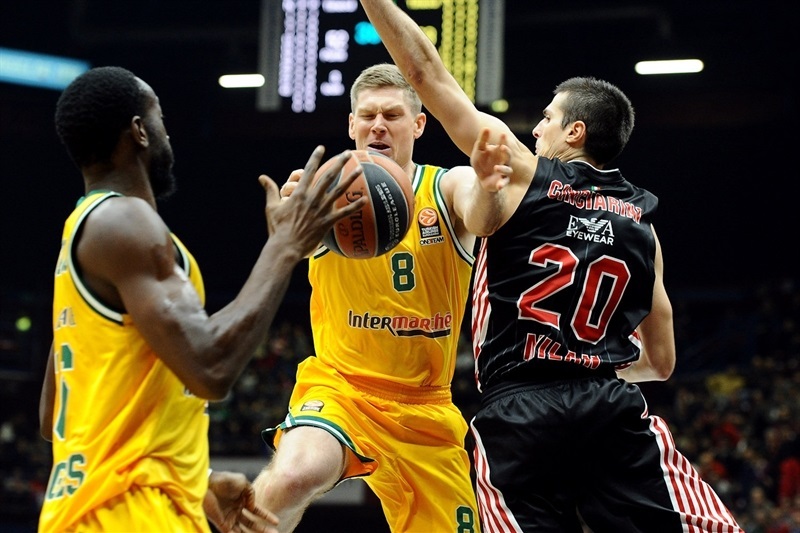 In our mind we wanted to win four games, two against Cedevita and two against Milan. 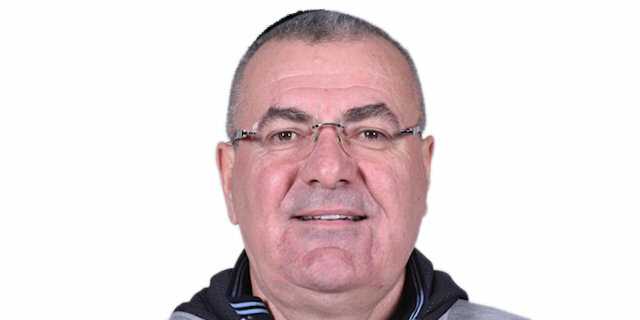 But we won three of those four and that’s why we are not going to the Top 16." 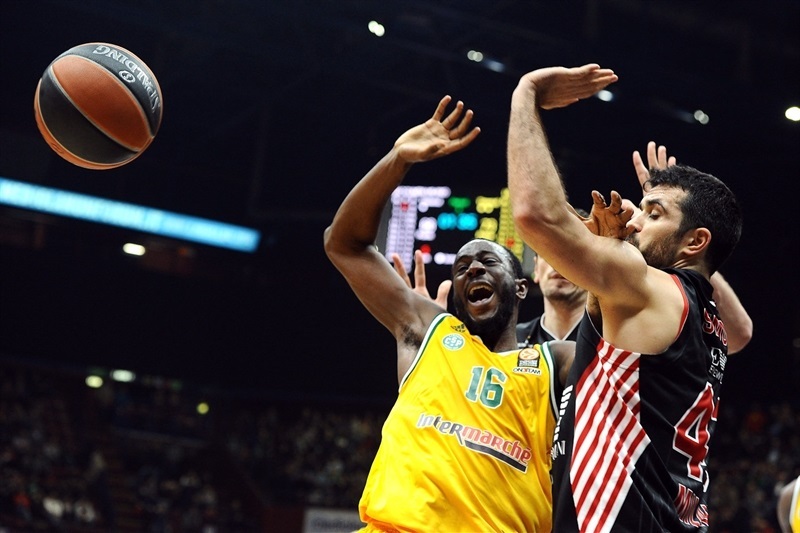 "It was our last game in Euroleague. It’s two years in a row we made it to the Euroleague. It was hard this year, we couldn’t make it to Top 16, but we had to finish well. We tried hard tonight and I’m happy we finished with a win. Milano played hard defense last 5 minutes, it was hard for us to bring the ball up. But we didn’t give up, we stayed strong and won."